You’ve seen barrels of oil listed as bbl (and sometimes bbls) of oil. And pounds as lbs. And you’ve thought it’s just not right. Meanwhile, ounces are oz. while the shorthand for the plural of species, spp., somewhat resembles the doubling of the ‘b’ on bbl. I got curious about the doubled ‘b’ and will show you what I found, but first a quick review of pounds. I think most people know the history of lbs and how it’s related to libra, Latin for scale. 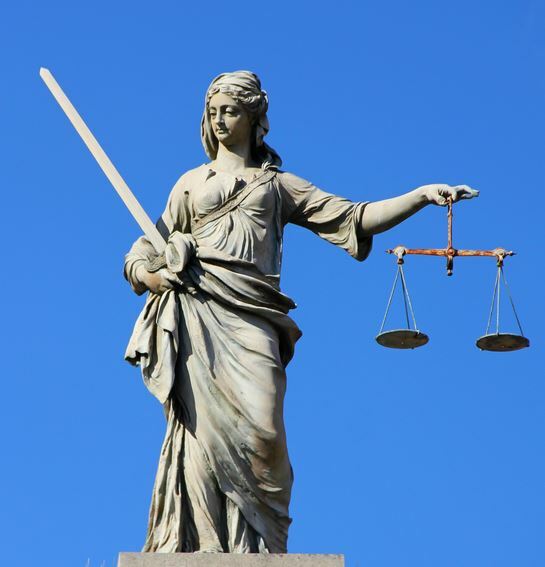 Roman merchants would weigh a certain amount of gold or silver on their libra. A convenient amount of silver was a pondo. The libra pondo moved to England when the Romans did. 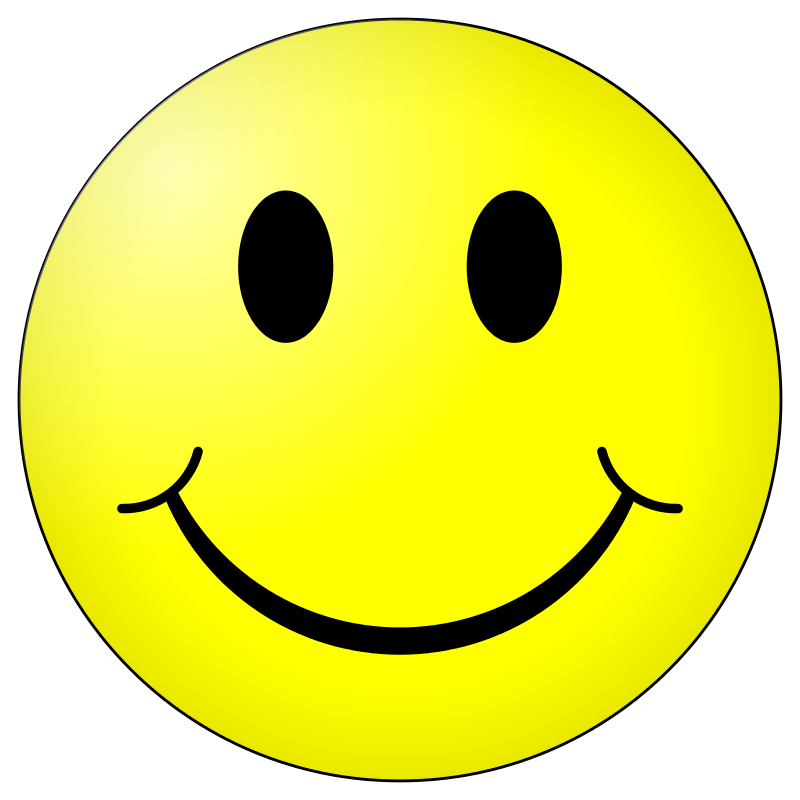 The pondo became the pound while the libra, shortened to lb, became the abbreviation. So 12 pounds, for example, became 12 lbs, or “12 on the scale”. The Brits retain a link between pounds and money, calling their money pounds and using the symbol of an L (for libra) with a line through it: £. One 1/16 of a pound on a scale was a more convenient way to weigh gold and the Romans called that unit an unce, which became ounce in English. Its abbreviation arrived directly from Middle Ages Italy, a hot bed of alchemy where small units (onza) were written into lab books as oz. But what about oil, of which 96 MMbbl are used each day? The MM stands for M times M, so the Latin symbol means 1,000 times 1,000. 96 MMbbl/d is read as 96 million barrels per day.The doubled ‘b’ is harder to explain. In fact, I haven’t seen any convincing explanation of how barrels became bbl. One persistent and believable story involves the Pennsylvania oil business. During the 1860s, oil produced around Titusville in western PA was canned up in a variety of odd-sized drums. The barrels were rolled into the western Appalachian rivers – Oil Creek, French Creek, the Allegheny – and floated towards Pittsburgh. Containers weren’t standardized. Those were the days of big families. Barrels of fish, honey, wine, and apples were common in basements. The barrels held different weights. A strapping young man could nudge a 300 lb barrel and shift it on its bottom rim, or lean it back on a barrel cart and roll with it. That amount of weight became somewhat standard – especially when the ever-benevolent John D Rockefeller of Standard Oil made it standard. 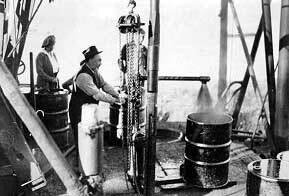 Catching gushing oil in a steel barrel, Norman Wells, Northwest Territories, Canada, in 1922. 300-pound oil barrels held about 40 US gallons. According to legend, the folks at Standard Oil in the 1870s saw that leakage and evaporation sometimes meant buyers were getting short-changed. 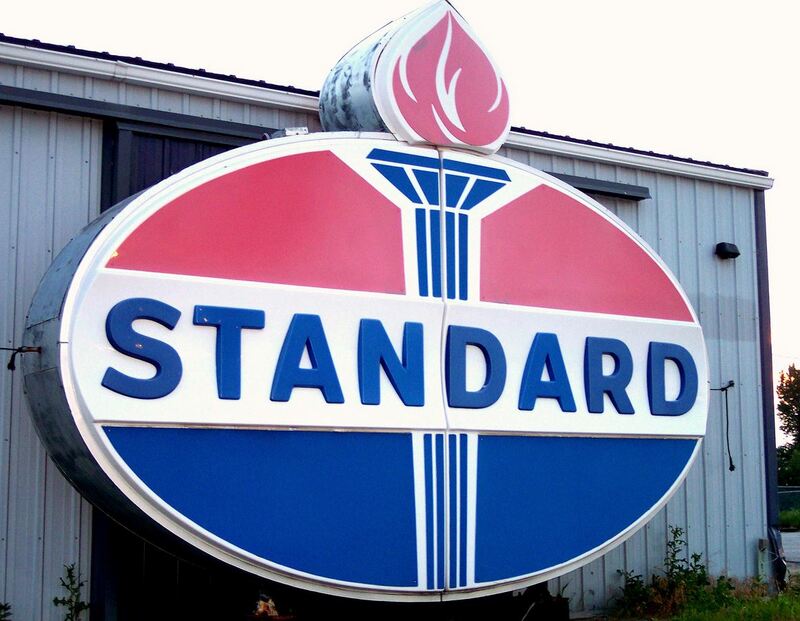 So Standard Oil (mother of Exxon, Mobil, Chevron, Amoco, Conoco, Atlantic Richfield, Sohio) sold oil in barrels that held 42 gallons to allow for shrinkage back to 40. Rockefeller built a barrel factory and painted his barrels blue. 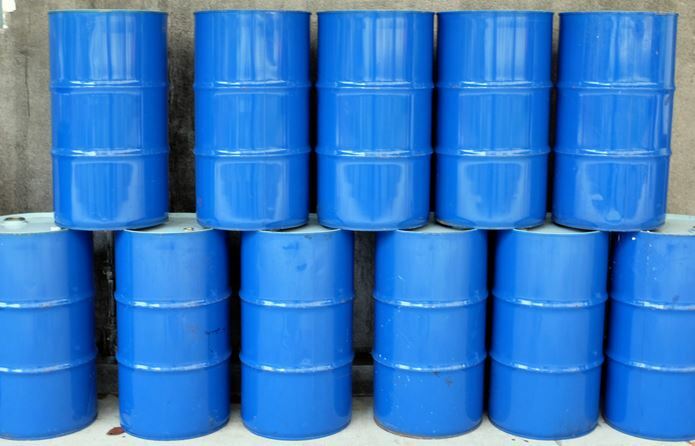 Thus, oil drums were blue barrels, abbreviated bbl. And that’s how barrels became bbl. Except the story isn’t true. Bbl had been in use at least a century before Standard Oil was a gleam in young John D’s eye. And the standardized 42-gallon oil barrel also predates Standard Oil. Nor did Rockefeller’s company create the idea that blue was the way to paint oil drums – for a decade, kerosene had already been regularly packed in red barrels and crude oil in blue. Blue barrels weren’t bbl because of Standard Oil. Fifty years before oil was first drilled, “bbls of apples” were advertised in The Magazine of Horticulture. Before that, a report of a French pirate ship stealing “a bbl of sugar &etc” from an American schooner in the Caribbean made news in the May 1801 Porcupine Works newspaper. Others at that time advertised apples by the bbl. In a 1756 edition of Pennsylvania Archives, page 217, we read “eight barrells of bread, one bbl. of flour, one bbl. of Pease, four bbs. of beef, two bbs. of Pork”. It’s interesting that a single barrel of peas or flour was a bbl while more than one barrel was abbreviated bbs, a distinction that we have lost. Barrels of other examples are found on a lengthy list compiled by someone at sizes.com. Kudos to them for scraping the bottom of the barrel in their research. IMO or, more humbly, IMHO, abbreviations ebb and flow. If you want more on this, the USGS teamed up with the US Dept of Interior to produce a guide to oil patch abbreviations. You can find the USGS/USDI PDF HERE. The PDF is only two pages long, so maybe it’s an abbreviated list. LOL. This entry was posted in Culture, History and tagged bbl, oil industry, Pennsylvania, Standard Oil, Titusville. Bookmark the permalink. Interesting to know! I never really thought about how these abbreviations came to be. Thanks. Have always been a little puzzled by lbs and oz and why our pounds shillings and pence were LSD. I understood the S and the D. You’ve solved the L problem and explained our currency symbol in one.